How do you fancy a free boiler installation in exchange for one fixed low cost monthly fee? A growing number of heating companies are offering energy consumers the option of fitting a highly efficient gas boiler with no upfront cost. It’s the perfect solution for households who need a new boiler but don’t have the money to pay for one outright. A straightforward like-for like boiler replacement can cost in excess of £2,500 on average, to supply and install. So unless you have a couple of thousand pounds saved up for emergencies (and yes, a broken boiler is an emergency!) or you qualify for a boiler grant to help fund a new installation, a good option could be to take out a monthly boiler and maintenance package. A monthly boiler plan can be a godsend when money is tight and you have no savings to dip into. They offer a hassle free alternative to financing the boiler installation yourself, and with a maintenance and insurance package for complete peace of mind, it’s easy to understand their growing popularity. There are a number of companies who offer the rent-a-boiler scheme including Hassle Free Boilers. No call-out or excess fees. 24/7 unlimited call-out support, 365 days a year. 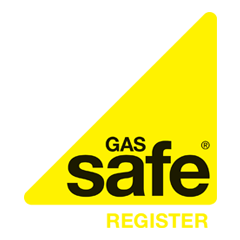 Don’t forget the installation of a brand new highly efficient gas boiler can also lower your gas bills by up to 40% – that could be a saving of up to £320 on your energy bills per year!